You might have thought that 2012 was the Summer of the volunteer what with the Olympics and the Golden Jubilee but I can now reveal to you, that you are wrong… it’s actually 2013 or else I might actually be part of the legacy which is why I have not been around on the blog for a little while. We have had the Leigh Art trail, then the Folk Festival for which I can show you injuries gained through tying up balloons – if you were not aware they are vicious and can skin your knuckles – the library campaign is on-going but this weekend we had Metal Culture’s Village Green at Chalkwell Park. 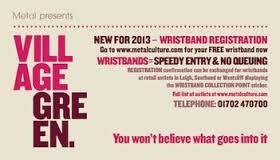 This is where I got to be a rock chick, well OK old boiler, working with the media team in the VIP area. I was introduced to Margaret, who I would be working with, it was fine until I realised that I was not just old enough to be her mother but I could also be her granny! If you think that Village Greens are for picnics and cricket, you would be right… but our Village Green has so much more. We had circus tents, music venues, food from around the world, craft markets, poetry, cinema tents, aerial acrobats, amazing art exhibitions, yoga… you’re kicking yourself for not being there, aren’t you? And amazingly thanks to sponsors like the Arts Council, Southend Council and our local paper The Yellow Advertiser it was free. This was my first year of volunteering at Village Green and I got to work with local author, Syd Moore (The Drowning Pool) who was the media manager, and boy had she been busy. She had local BBC Essex on site for the morning, I even got to talk on air… well maybe talk is embroidering it, but that really was me saying “Hello” and whistling. She also had an exclusive interview for The Observer with our secret special guest, and NME together with other local and National press. The volunteer team gathered for our final briefing just before 9.00am and then she told us under strictest confidence, who the special guest was… it was none other than Wilko Johnson. If you came from Essex in the 70s there were a number of great local bands and singers, The Kursaal Flyers, Alison Moyet from Basildon and from Canvey Island the legendary Dr Feelgood of whom Wilko was their lead guitarist famed for his choppy style which some say is due to his efforts to reproduce Johnny Kydd and the Pirates, “Shaking all Over”. 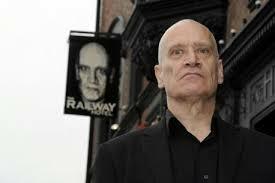 However, there is something else you should know about Wilko, he was diagnosed with pancreatic cancer early in 2013, he was scheduled to do a final tour whilst he was still fit enough but had to cancel a number of dates due to his illness. This meant we were on tenterhooks to see if he would be well enough to cope with the overpowering heat we enjoyed on Saturday. His first interview with The Observer was scheduled for 10.00am on Saturday morning - we held our breaths and listened for the phone call to let us know if he had to cancel it – the phone did not ring. We breathed out. Then the interrogations started, “who was the special guest?” especially from the sound engineer from BBC Radio Essex’s Mr & Mrs with Al(ice as we know him) and Sadie Nine. Al interviewed couples from the park including the Lili and Sam, aka Lili La Scala, a gorgeous burlesque dancer… no-one should look that glamorous five months post pregnancy and her other half Sam aka The Boy with tape on his face (I am giving you a health warning do not watch this with a drink in your hand or mouth). Sadie in the studio had the upper hand in the studio and pulled the plug on him a couple of times… oh that other women had that sort of control over their men! Then at a few minutes before 7.00pm he returned with his infamous fender decked out in bordello red and black face, and stepped onto the stage… as the crowd realised who it was they were stunned and then rushed towards the stage… I was lucky to be in the pit, getting deafened by a fabulous set… I am sure that the music and sound of the crowd drifted back to his old Alma Mater, Westcliff High. It was hard not be emotional when you realised that this gig was the one of the few that he had left… until he gurned at you and shot you with his staccato Thames Delta guitar style and you realised that this man was going to smash it. The pit was awash with telephoto lens’ and crew sneaking back to take a look… even Sumo who was responsible for the stage came to have a look and listen, praise indeed. 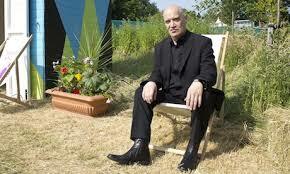 He left the stage to Bye, Bye Johnny Be Good... a grin, a wave and he left the park. He was good. I was lucky. Actually no, I was privileged. Thank you so much Mr Johnson for a lovely evening from an old boiler. Now for a little bit of housekeeping, if you were there; text VGFR33 £3 to 70070 that way we keep it free for another year. You know it makes sense. And finally, if you are the swine who nicked Sam Duckworth’s acoustic guitar, give it back… you will never be as good as he is. About this time of the year I get embarrassed when look in my kitchen cupboards and realise the state I let my cupboards get into... so out it all comes as I stand on a chair delving all the way into the back... which is when I find them. 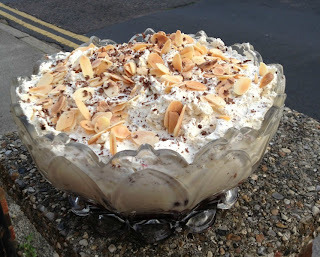 Yes, it is the tin of sardines (I don't eat sardines, so heaven alone knows where they have come from) and those delightful jars full of fruit in liqueurs... well it seems such a shame just to dollop cream over them or pour it over ice cream when you can make a lovely cheap cheats trifle and make something special. Anyway, yesterday we had a choir social... I sing in a choir called the Cockleshell Chorus and we are fairly new so we had a bit of a get together yesterday... and at 4 o'clock I remembered I promised to bring a desert, which meant a quick trip to the supermarket and the basics range got raided. You may remember that a few years ago the Sainted Delia published her How to Cheat at Cooking and the furore that engendered but in the words of Shirley Conran, "Life is too short to stuff a mushroom." Cooking from scratch is great but there is no shame in using pre-prepared foods when you are caught short or are in a hurry... and be honest when was the last time you made rough puff pastry from scratch? For me it was doing my Domestic Science O level which I realise is 40 years ago! Take you trifle bowl which doubtless your mum gave you and is tucked at the back of your crockery cupboard (wash it because a spider will have been in there since you got it out at Easter) and break up the chocolate fingerellas into bite size chunks. 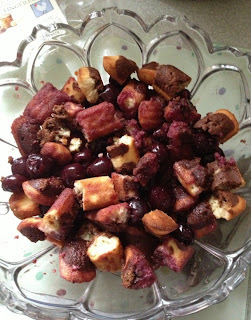 Scoop out the cherries and mix them with your bite size chunks, then add some of the liquid to the mix... NOT all of it as that will just make a soggy alcoholic mess, but just enough for the sponge to soak up. 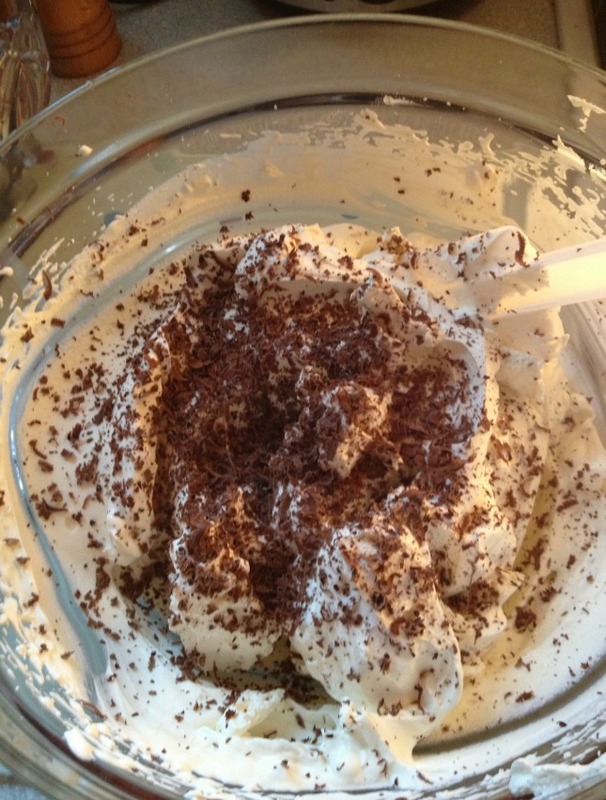 Set the trifle bowl aside. 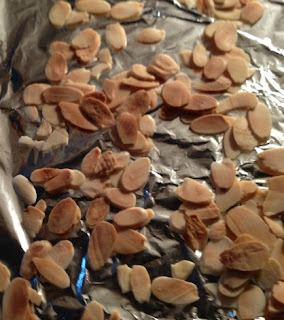 On a tray scatter your flaked almonds and toast them under a grill until lightly browned - watch them as the oil in the almonds makes them turn very quickly and you don't want burnt offerings. 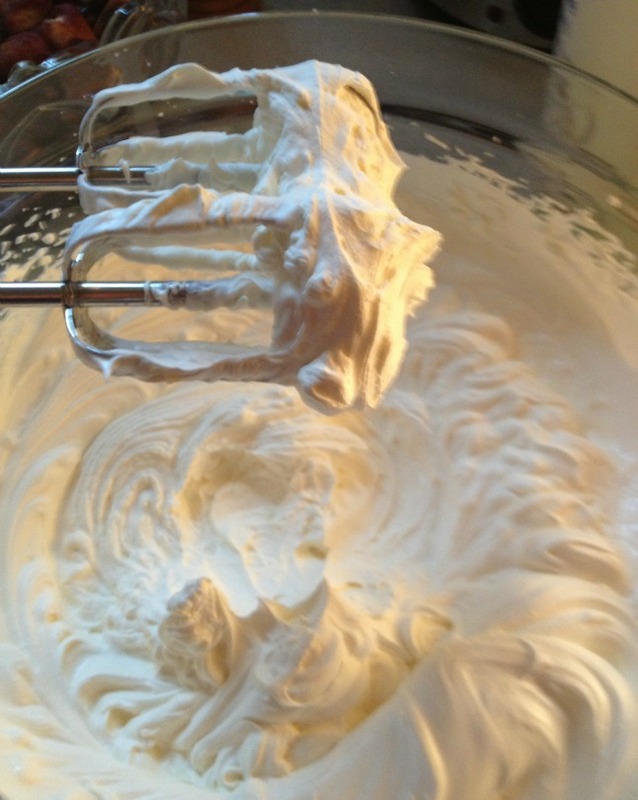 Take the cream and whip it up in another bowl until it is firm, do not overbeat it as we do not want to make butter but is should be firm enough for you to be able to turn the bowl upside down over your head without the risk of you wearing it! Take your chocolate and grate it into the cream, fold it in and add more chocolate... and repeat until your cream is evenly speckled with chocolate. Pour the custard over the top of cherry and sponge mixture. Take spatula and spread the cream on top of the custard, start from the middle and work outwards. Pop it into the fridge. Before serving, scatter the toasted almonds on top of the trifle and grate some more chocolate on top. As you recover from your yummy trifle, take a look at Handmade Monday and see what everyone had been making in the last week. 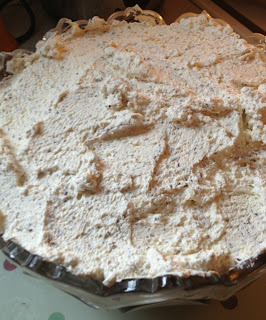 And this is the trifle song, which might just have been written for this woman of a certain age! 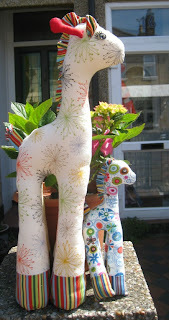 For those of my overseas readers who don't know what a giraffe is, in Cockney rhyming slang a giraffe is a laugh and that is what I think some of the crafting magazines are doing at the moment. They are getting lazy and slapdash. 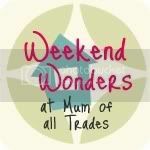 Last week one of my friends had a baby, a little girl who arrived on Thursday evening... I found out on Saturday morning and knew then that I had the perfect excuse to make a giraffe from a pattern I had kept from a magazine. I leapt to the kitchen, found the greaseproof and started to trace... well, yes it did look small but then things always look bigger in magazine pictures, don't they? 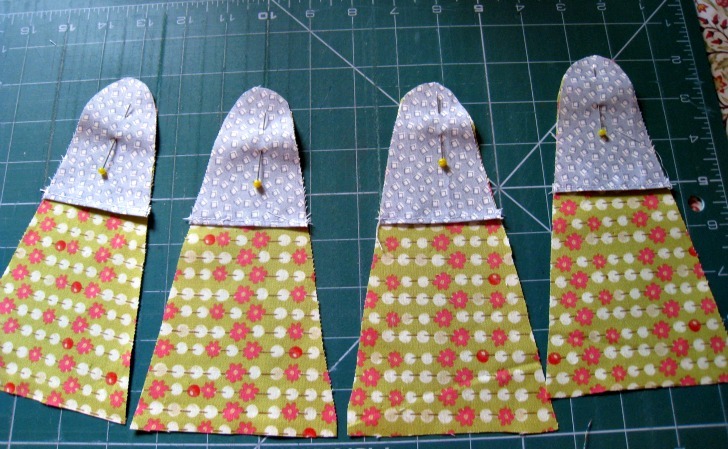 And well, they seemed to have been a bit generous in the amount of fabric needed but no, I pushed on and then realised that one of the pattern pieces was missing but I can sew, I can draw (OK, that is a lie but I do have a pencil, ruler and rubber) and I can guesstimate the shape of the missing part. So I sewed it up, hmm the ears looked smallish but let's be honest there was no way I was going to be able to sew up the horns without blood being shed, much swearing and causing untold woe to my dentist as I gnashed my teeth. 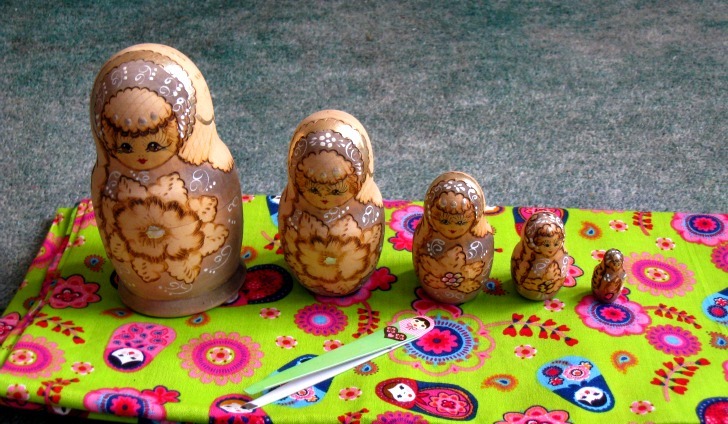 The pattern was too small...it should have been enlarged by 200%. 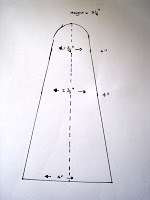 I went back to the drawing board photocopier, took six separate copies to ensure that I captured everything and then spent 15 minutes sellotaping it together and retracing the pattern. 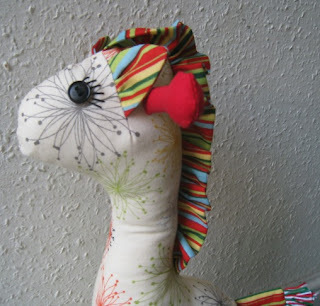 So, as is my want, I then read the pattern, next pet hate no indication of the seam allowance, that is until we come to the ears and the horns, when I am told to cut 1/4" outside the line, err could they not have drawn the piece the right size like all the others? Now here is my gripe, why are patterns not checked properly? 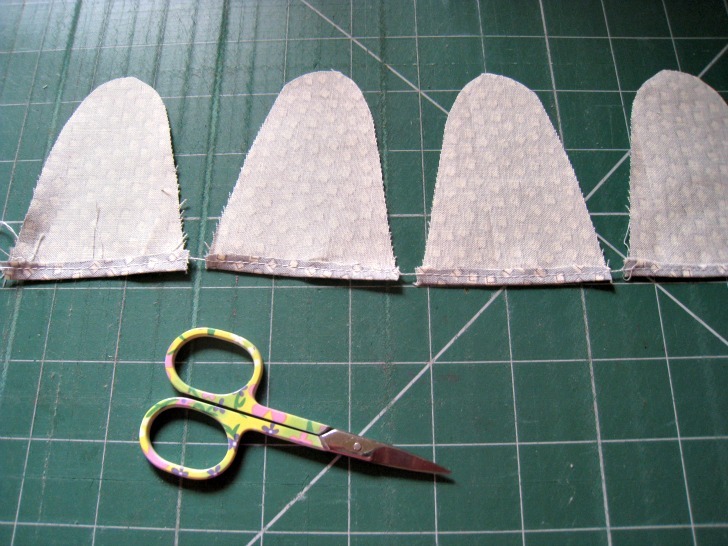 Seams and sizing are Sewing 101, it's absolute basics, does no-one at a magazine try making it before they publish? Then we come to knitting patterns, there is one writer in particular, and yes, Debbie Bliss I am looking at you, whose books always seem to have addenda floating from them... How difficult is it to check numbers and quantities? 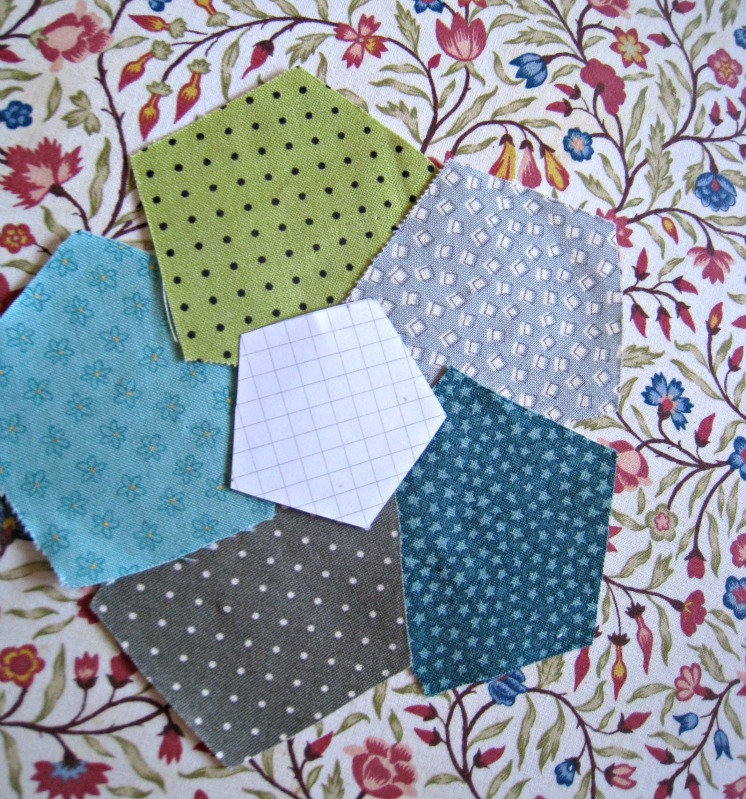 Whilst I am on a roll, why am I seeing so many patterns pulled from published books? Recently I spotted the same cushion in two magazines in the same month by the same maker, really frustrating when you have shelled out quite a bit of cash for something I already have on the bookshelf. Lovely to have them occasionally but more than three in every issue is taking the proverbial... come on publishers there are lots of talented people out there... use them. 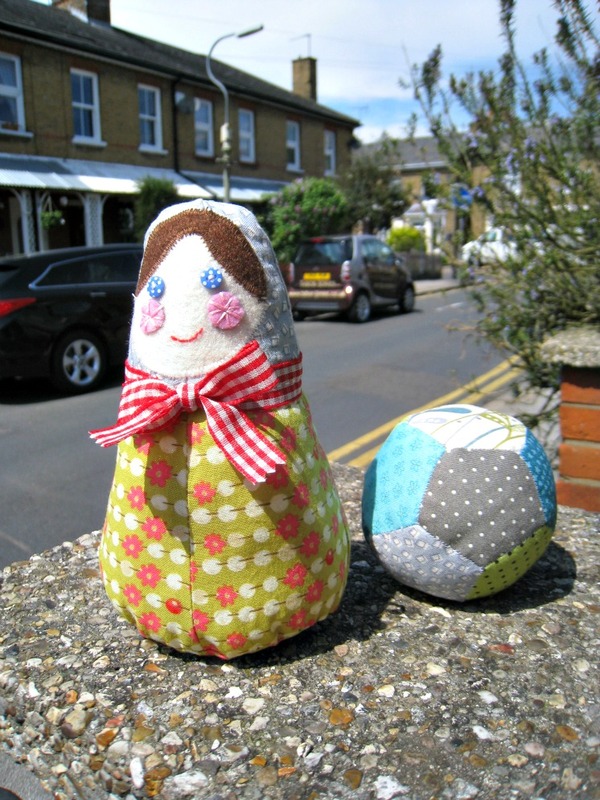 And talking of talented people don't forget to look at Handmade Monday to see what some of the really great original crafties have been up to. Love to know if I am the only one who is driven up the wall by this... or if, as I suspect, I am just a grumpy old woman! OK, dear reader you know that above everything I am totally honest with you... and today I publish one of six skittles to go with the Pentagon ball for tots. 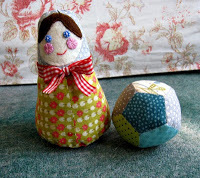 So what inspired this... was it the lovely cotton Matryoshka fabric, the dolls from a Moscow market or the tweezers... you've worked it out, haven't you? Yep, it is the tweezers.. this morning I lightly swept my hand over my chin and OMG... there was a hair, well step forward tweezers (which my OLDER, yes BIG sister stuck in my Christmas stocking) and, yes, it was my tweezers, in concert with my hairy chin that inspired this week's tute! Iron and ironing board... 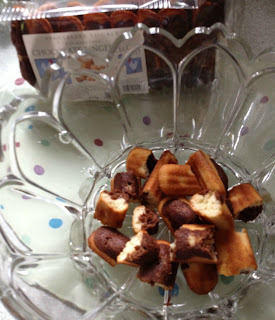 I use an ancient Morphy Richards and a huge John Lewis board! Next comes the base, you are going to need a combi oval / circle or indeed a circal with a 4.5" diameter widthwise and 4" height wise - to achieve this set your compass 2.25". Now draw a line 4.5" long, find the centre point and put the compass .25" above it and connect the ends of the line with a semi-circle, repeat this for the other side and thus you have your circal. 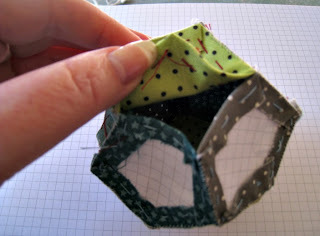 Iron your main fabric and pin the skittle sides onto it and cut four. 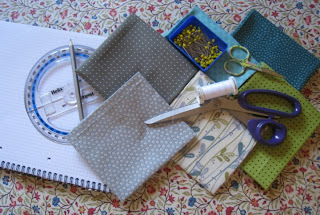 Now if you are cunning you will use a fabric which does not have a repeat, so you can save on the amount of fabric that you use. 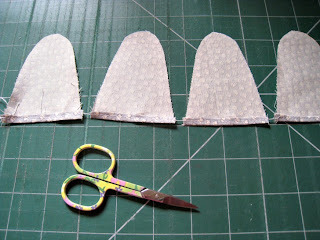 Cut out one base. 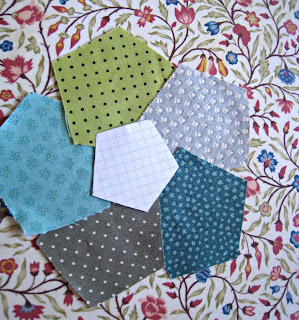 Now, cut out four short tops... now this is where I made a mistake, but so you can see and also so I can demonstrate another thrifty technique I am going to share it with you. 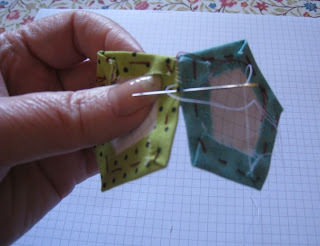 Iron over a very small hem and sew it... you will notice that my shawls are joined together in one continuous line of sewing, this is call chain piecing and saves on the amount of thread you throw away. 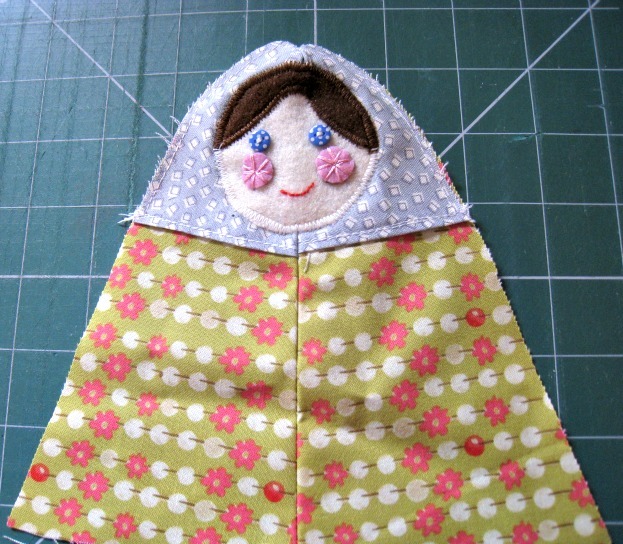 Pin the shawl to the body. 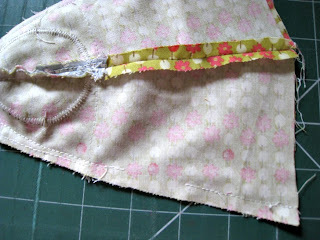 Sew around as close the edge as you can... and then sew over hem you have created... bang goes my saving! So in future just iron it rather than sewing an extra hem. 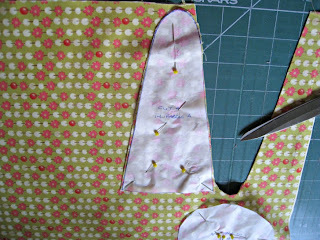 Pin two sides together and sew up to the top using a 1/4" seam allowance. 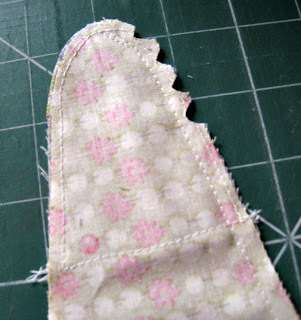 Around the curve, cut out small triangles to ease the fabric around the curves so that it will sit nicely. 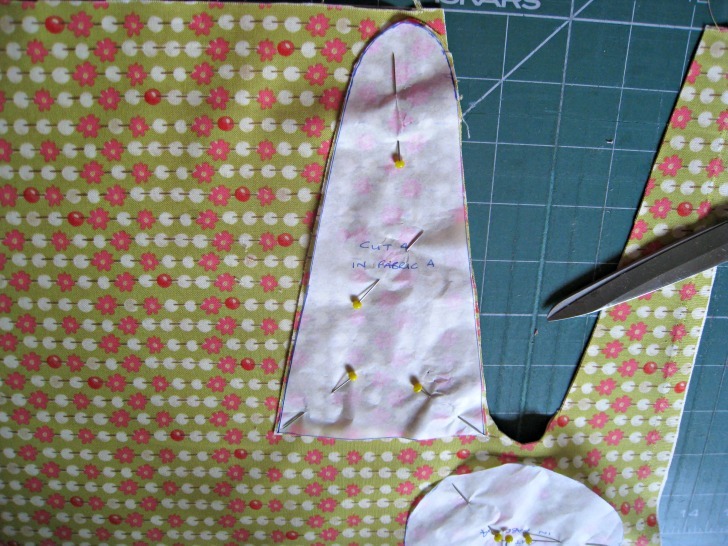 Turn the body and shawl right sides out and press open the seam. 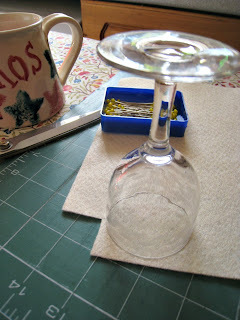 Place a small wine glass over the shawl, to ensure that it fits, now draw around it on your cream felt. 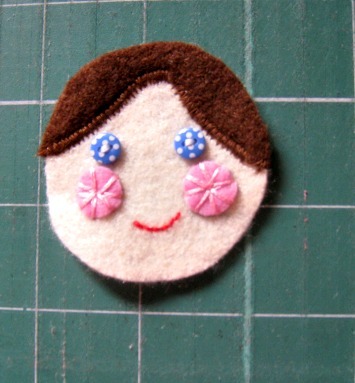 To make the hair, repeat this on the brown felt, chop it in half into two semi-circles and trim to give your doll the Anne Stallybrass hair style from the Onedin Line... Did I mention that like Helen Mirren, she also went to my school! I satin stitched the brown felt fringe onto the face... don't sew the top of the head... I told you not to, now just do as you are told... sighs. If you prefer, use a small blanket stitch like we used in the embroidery tutorial last year. 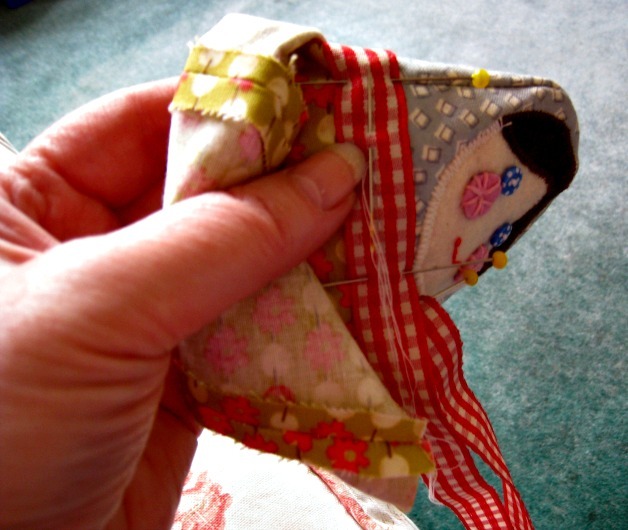 Sew the cheeks in place by sewing up through the centre, and down through 12 o'clock, back up through the middle and down to 6 o'clock, back up through 3 and then 9 o'clock, repeat this for the space between 12 and 3, 6 and 9, 3 and 6 and finally 9 and 12. 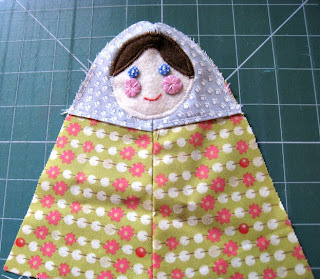 Finishing touch a line of back stitching to create her cheery, peasant smile. 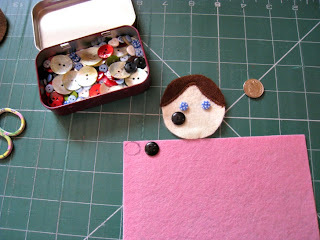 Pin the face over the seam of the front of the doll and use cream cotton to zig zag around the face and brown to go over the hair. Pin the back and the front together, leave a 2" gap below the shawl and the sew down to the base, this will be our hole to turn it through and stuff it. To cover the join between the shawl and the body use ribbon - I used about 18" and trimmed it to fit. Start by leaving a long end just below her mouth and use a small running stitch to hold it in place and sew back round to the front. 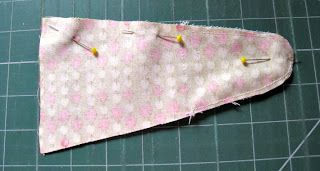 Fasten off securely and tie a bow, trim the ends... this time I used pinking shears to trim off my Jane Means ribbons. You have to hand sew this as the aperture is too small to fit and sew with your machine. Get the iron out, turn the skittle inside out and pres﻿s the seams open, the take the base and fold it in half lenghtwise and width wise and press those creases into the base. Pin the crease against the seam on all four sides, the ease the fabric between the seams... you will find it easiest to have your pins horizontal than vertical as this will help with easing. 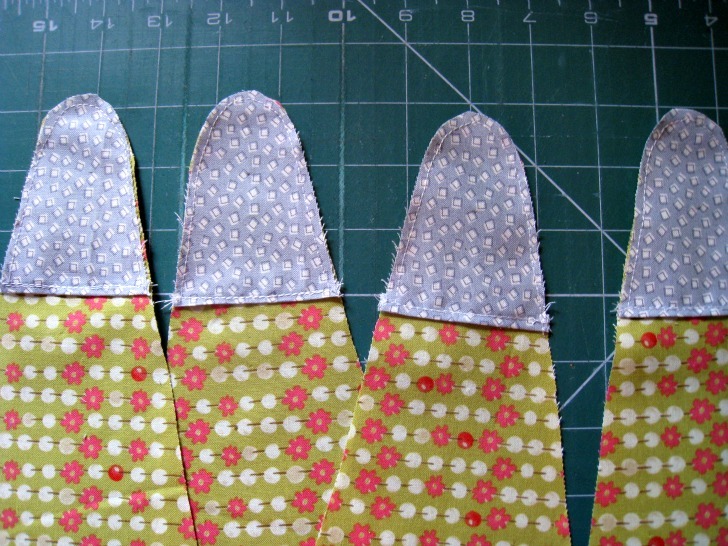 Remember easing is a battle between you and the fabric to make it fit into a curve, and you will win! Sew the base to the skittle and then trim the excess fabric with your pinking shears, otherwise cut little triangles but do not cut through the seam... it is not unknown for this to happen, even with experienced seamstresses! You are now on the home strait, pull the skittle through the gap in the side seam and gently fill it with your stuffing... little and often rather than big and brutal as this will give you a much softer finish. Just like the ball last week, whip stitch the opening shut. Now look at your amazing skittle... she is rather lovely don't you think? 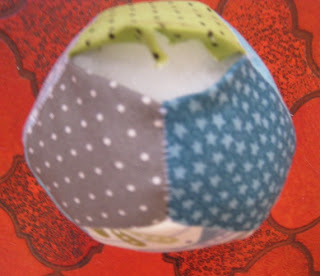 If you want to just make it as an ornament, I would put some heavy interfacing on the base to stabilise it. I had another thought that you could reduce the pattern size on a photo-copier and create a proper family of stacking dolls, how cute would that be? 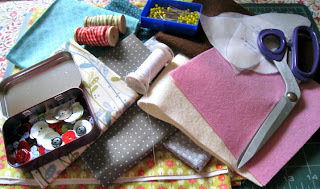 Well, by the skin of my teeth, I have just made Handmade Monday... so click on through and see what this talented group have been up to during the last week. 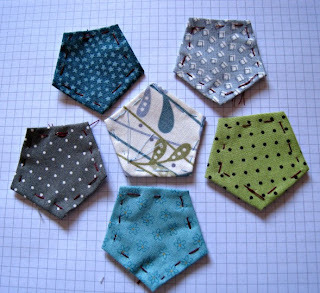 Right everyone, it has been a little while since we made anything so I thought a little bit of hand sewing would be a gentle re-introduction, as well as learning a new technique - English piecing - it will make a super gift for a tiny tot and should not break too much if it is used indoors, unless the tot is growing up to be a fast bowler! 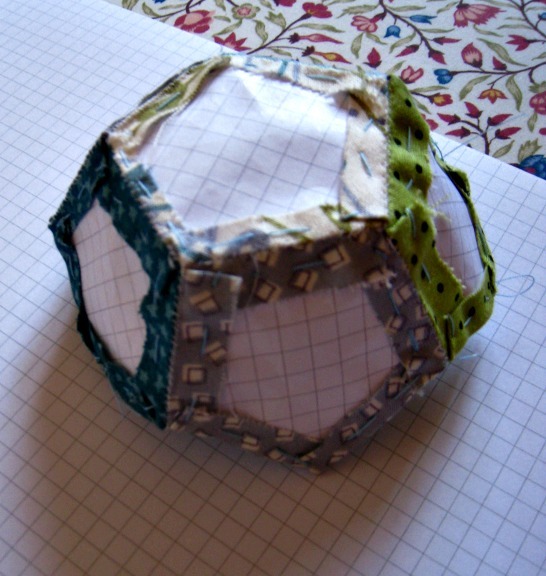 We are going to make the ball using 12 pentagons, but first we are going to create our template. Now there is an easy way to do this, which is just googling pentagon and printing it out but much more fun to put into practice all that geometry you learnt at school; grateful thanks to Miss O'Riordan my old Maths teacher, who would be marking this blog down already as I have failed to put today's date and underline, she was most definitely old school! So draw a line 2" long, at the end of the line, mark it at 72' and draw another 2" and continue until you have the five points because I know that you have already worked out that 5 x 72 = 360 which is the number of degrees in a circle. 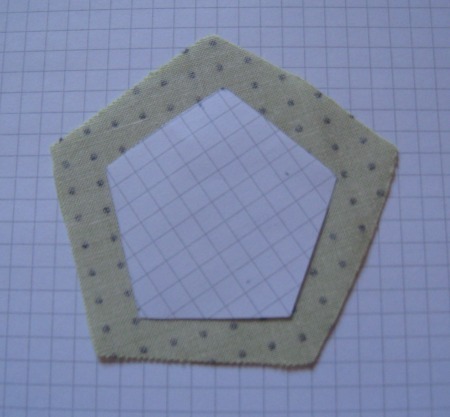 Cut out 12 paper pentagons. 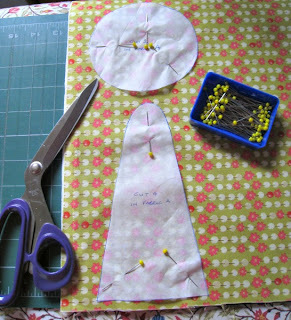 Place the inner paper template on top of the fabric, at this point you can either finger press or iron... and you know that I will have used my iron :) Using the contrast cotton, make a large knot in it and tack through two layers of fabric and paper to make a sandwich, when you get to the corner, fold the fabric in the same direction, I did this so that the left hand side always sat on the top. 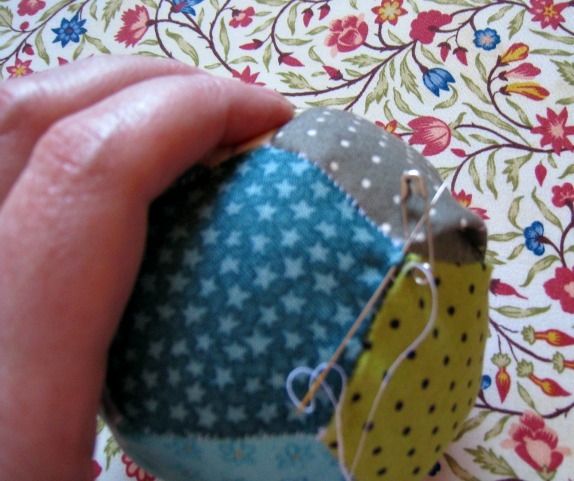 Make sure with this ball you start on the reverse side (usually with piecing the knot is on the top) this will make it easier when we have to remove them. I tend to use a double thread when tacking, once you have sewn all the way around, don't neatly sew the end in, leave it trailing so that we can whip it out when it is sewn together. Get the first six ready, then move them about until you are happy with the arrangement. Put two sides together and sew them with small stitches with a whip stitch, which is a diagonal stitch used to join the pieces together. 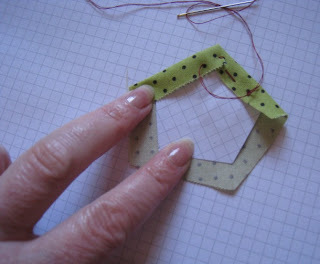 Go in straight across the two pieces from right to left and then come over on the diagonal, keep your stitches small and neat... the more you sew the neater and smaller they become. 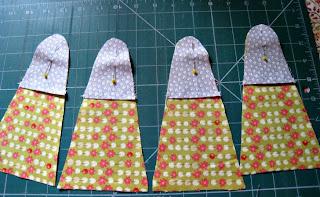 I found it easiest to start with two side pieces and then sew these two to the base, then side followed by base. Now you have half your ball ready to go, repeat this process for the other side. 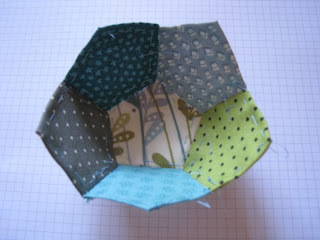 Place one half on top of the other, I made the same pattern for each half and then rotated the top half by two segments. 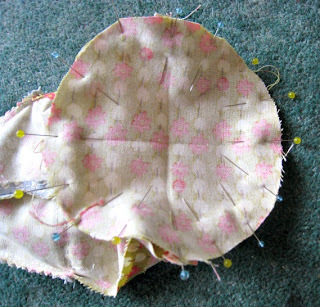 To make it easier to sew, I set one half as picture above and then inverted the other half to sit inside it, it was then really easy to see where points and seams should join. 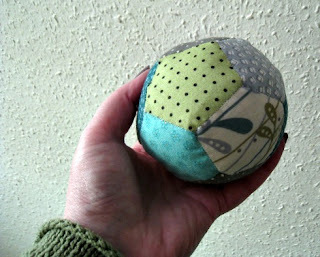 Sew all the way around but leave two sides unsewn... we need to turn this ball right sides out eventually. 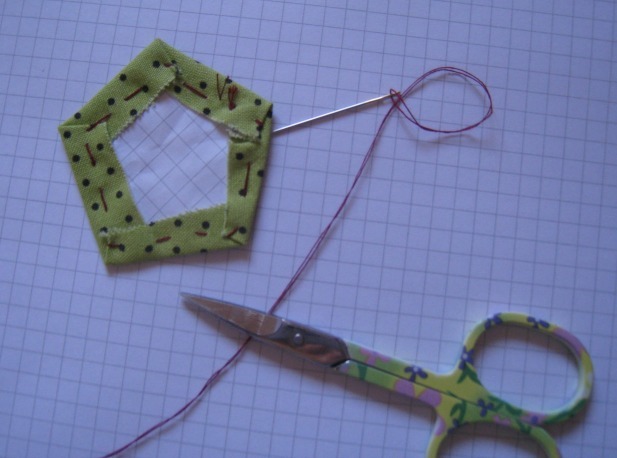 OK, it's time for the fun bit, grab then knotted end of the tacking line and release the paper template... Don't throw it away, you can reuse it. Turn the ball inside out through the opening. 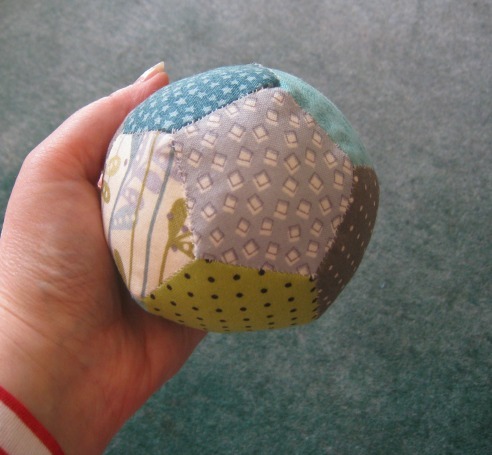 Take your stuffing and fill the ball, now don't make the mistake of grabbing a big wadge and shoving it in, go with little and often, it gives the ball a better finish. Grab a safety and pin the centre point down. 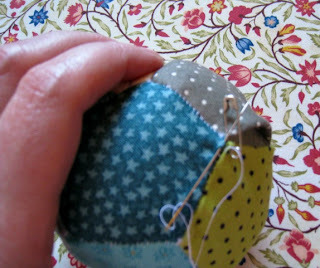 Work your magic with the whip stitch again, sewing the two sides together. And there you have a lovely little piece of hand sewing and you have mastered a basic element of English piecing, how clever are you? I was just sitting here thinking, when the C word came into my mind, if I made the pentagons smaller, wouldn't it make a great decoration using up scraps for a handmade Christmas tree? But guess what, if you have stuffed your ball properly, it will bounce, go on give it a go! 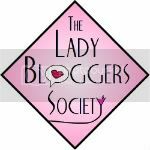 Right now it's over to Wendy Massey's Handmade Monday, been absolutely ages since we have been on there, can't wait to see what everyone has been up to.